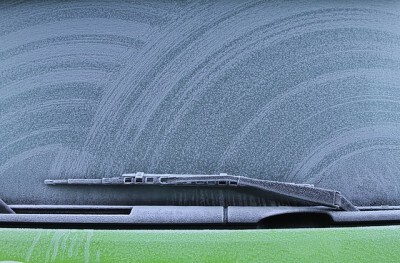 Windshields are one of the most affected external car parts in winters. If ignored, a dirty or frozen windshield can even lead to fatal accidents. Windshield washer fluids are one of the best ways to take care of them. We will review top 5 windshield washing products available in the market for you today. We have also tried to discuss its effectiveness during colder climates so that you can choose the most effective product this winter. Note: This is not a sponsored post. It is rather a genuinely written post to help our readers choose the best product. This is one of the best wind washer fluids available in the market. Prestone is one of the topmost brands when it comes to auto-fluids. It’s very famous for its coolant but other fluids like windshield fluids are equally great. This product can be used in all the seasons and is one of the bestsellers on Amazon. It has been specially formulated to keep your windshield clear, no matter the weather, with three streak-free technologies: de-icer melts ice fast and protects against freezing down to -27 degrees Fahrenheit. It comes in a gallon size for ease of use. It also comes with bug-wash feature and claims to easily remove bugs, insect deposits, and road grime. What’s best about this windshield washing fluid? It does its job very well and that’s why it’s the best seller on Amazon. It also comes in a gallon size for just $3-4. Everything is pretty well but it does leave a little awful smell after the wash. This is another amazing product from Prestone. It is specially formulated for knocking off bug remains on your windshield. Not only does it help to get the dirt off your vehicles windshield but it also actively removes bugs that get on it too. It is also effective against off tree pollen and bird poo too. This product comes in a pleasing fresh citrus scent. The best thing about this product is that as it is from Prestone, it does its job the best. Bug remains, tree pollen, sap, and even bird poo are just a little scrub away. However, its price is the main concern. It’s about the double of the Prestone all-season windshield washer. This is also one of the best selling windshield washer fluids on Amazon. It generally comes in concentrate form in 8.5 Fl. OZ. bottle. You need to mix it with water and add to your car. This bottle when mixed with water yields up to 7 gallons of washing fluid. That makes it pretty inexpensive for the price you pay. This washing fluid has a pleasant citrus smell. The best thing about this product is that it does a good job at cleaning all types of residue that get on windshields such as bugs, grime, dirt, pollen, etc. However, like other products, it also has a few concerns. The main demerit is that it’s not formulated to work best during winters as it does nothing to lower the freezing point of the water that it is mixed in with. So, it is not all-season washer fluid. This is one of the unique products available in the market when it comes to windshield washer. It comes in the form of tablets or pills and just needs to be mixed I water. Once, it is dissolved, it is ready for action and works pretty well. The best thing is that these pills are the most cost-effective solution in the market for windshield washing. However, it tends to build up a little haze of residue on the windshield area where the wipers do not reach. It comes in a small bottle but yet is very powerful. It is a concentrated formulation which needs to be mixed with water and is powerful enough to yield several gallons of washer fluid. It performs a pretty great job at taking down all the dirt off your windshield. The best thing about this washer is that depending upon its concentration in water, it can keep the water from freezing as low as 2 degrees Fahrenheit. Therefore, it’s great for winter use but this product tends to finish up fast during winters. So, you may need extra bottles of this washer adding up to your cost. So, those were the top 5 windshield washer fluids available in the market. We have tried to include the pros and cons of each product. An attempt has also been made to discuss it from the economy point of you… You can leave your thoughts and opinions about any of these products or if you use any other better product, you can tell us about that too here in the comment section.